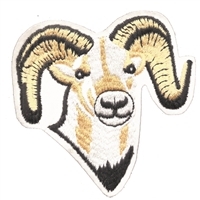 8486-39 - big sheep or ram embroidered patch. Sew on or iron-on. Patches are carded for a display for retail stores. Made in USA. 8257-11/36 - Blue on red butterfly sew on patch. 2.375" wide x 2" tall. Patches are carded for a display for retail stores. Made in USA. 8333 - poppy - 1.25" tall x 1.125" wide Available with NO BACKING, an IRON-ON BACKING, or a PRESSURE SENSITIVE (temporary adhesive) backing. Made in USA.. Patches are carded for rack display for stores. 8414 - dragon - 2 3/16" tall x 5 5/16" wide rectangle. 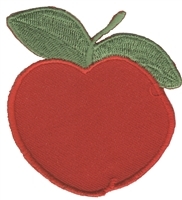 Patches sew or iron-on & are carded for a display rack for retailers. This originated when US sailors illegally wore it under the cuff of their uniform in the 50's or before. 8261-32 - Orange butterfly aetz embroidered sew on patch. 3.125" wide x 2.25" tall. Patches are carded for a display rack for a store. Made in USA. 8257-32/61 - Orange butterfly sew on patch. 2.375" wide x 2" tall. Patches are carded for a display for retail stores. Made in USA. 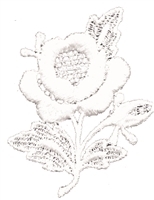 8454 - pig embroidered iron-on or sew on patch. 1.375" wide x .75" tall. Patches are carded for a display for retail stores. 8252-56 - Pink butterfly aetz embroidered sew on applique patch. 1.625" wide x 1.125" tall. Made in USA. 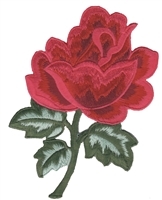 8311-56 - pink rose on stem embroidered iron-on patch. 3" tall x 2" wide. 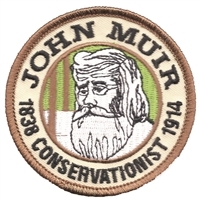 Patches are carded to hang in a store display. 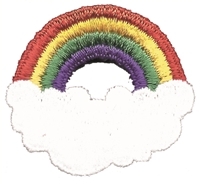 Rainbow & cloud embroidered aetz applique sew on patch. 8203 - Rainbow & cloud embroidered aetz applique sew on patch. 1.875" x 1.75" tall. Patches are carded for a display for retail stores. Made in USA. 8202 - Rainbow & cloud embroidered aetz applique sew on patch. 1.75" wide x 1" tall. Alternating colors. That means that the colors rotate & the order for all is not the same. Made in USA. 8211 - 4 stripe rainbow embroidered decorative sew on patch for clothing. Color location alternates. That means the order of the colors rotates. 3.75" wide x 1" (height of the actual rainbow stripes) or 3.75" x 1.75" (physical height). Patches are carded for retail store display for stores. Made in USA. 8212 - rainbow cloud embroidered sew on patch. 2.75" tall x 4.375" wide. Patches are carded for a store display for retail stores. Made in USA. rainbow embroidered patch. 1.25" wide x 13/16" tall (actual area). Height of the 4 colors is .5". Alternating colors. 8201 - rainbow embroidered sew on patch. 1.25" wide x 13/16" tall (actual area). Height of the 4 colors is .5". Alternating colors. That means the order of the colors changes. Patches are carded for a store display for retail stores. Made in USA. 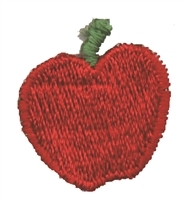 8206 - rainbow sew on embroidered patch. 1.625" tall x 3.125" wide. Patches are carded for a store display for retail stores. Made in USA. 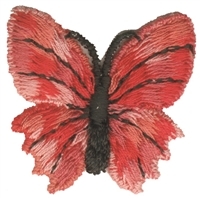 8253-36 - Red butterfly aetz embroidered sew on patch. Patches are carded for a retail display for retail stores. Made in USA. 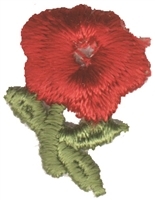 8261-36 - Red butterfly aetz embroidered sew on patch. 3.125" wide x 2.25" tall. Patches are carded for a display rack for a store. Made in USA. 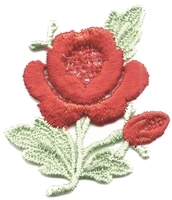 8307-36 - Red rose with petal & green leaf embroidered aetz applique patch. 2.75" tall x 2" wide. Sew on. Patches are carded for a retail display for stores. Made in USA. 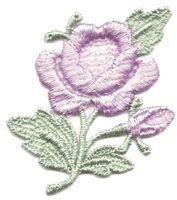 8307-53 - Purple rose with petal & green leaf embroidered aetz applique patch. 2.75" tall x 2" wide. Sew on. Patches are carded for a retail display for stores. Made in USA. 8313 - 4.75" tall x 3.75" wide. Laser cut to shape. Available Left side (2 leaves on left) or Right side (2 leaves on right). Available Red or Yellow. Patches have an iron-on backing & are carded for a display rack for retailers. 8314 - 5.25" tall x 3.5" wide. Laser cut to shape. Available Left side (2 leaves on left) or Right side (2 leaves on right). Available Red or Yellow. 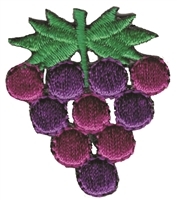 Patches sew on but more easily iron-on & are carded for a display rack for retailers. 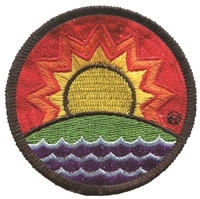 8214 - SOLAR FUTURE ® rainbow embroidered patch. 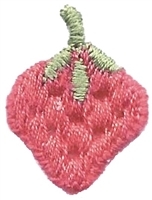 2.5", Patches sew or iron-on and are carded to hang on a store display. The beautiful patch originally was designed to promote solar energy. 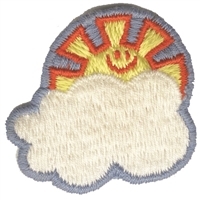 8242 - sun over cloud embroidered sew on applique patch. 1.625" wide x 1.625" tall. Patches are carded for a display for retail stores. Made in USA. 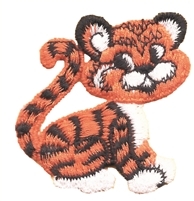 8470 - Tiger cub embroidered aetz applique sew on patch. 2 1/16" tall x 1 9/16" wide. Patches are carded for a retail display rack. Made in USA. 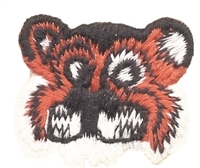 8469 - tiger face aetz embroidered sew on patch. 1" x 1.25". Patches are carded for a retail display rack for stores. Made in USA.